Twelve and a half years ago I made a routine visit to my doctor’s office. After the visit, as I sat on the side of the table, he asked “is there anything else we need to talk about”. I remember the nervous tension filling my body as the words tumbled out… “well… maybe it’s not a big deal, but we’ve been trying to have a baby for about a year, with no luck”. I also remember the look on the doctor’s face. Concern. He quickly responded that it did not have to be a big deal, but that really, we should be doing prenatal visits by now. Let’s look a little closer. PCOS. Polycystic Ovarian Syndrome. It explained so much… missed cycles, no baby, that frustrating couple of hairs on my chinny-chin-chin. There was still blood work to be done, but the doctor was certain this was the cause of our delay. What was already a preoccupation with getting pregnant became a full out obsession. The next months were a flurry of fertility drugs, basal thermometers, cycle charts, message boards, pregnancy tests, internet research… it was a roller coaster from the heights of hope, to the depths of disappointment. It was a season of feeling less-than. Friends got pregnant who weren’t even trying… what was wrong with me that I couldn’t have a baby? What had I done? There were days laying in a darkened bedroom when the blood test revealed no chance of ovulation. And I was going it alone. Of course Jim was there (he was necessary to the process, after all)… but I was far from God at the time. The depth of hopelessness I felt during this season haunts me… it reminds me of what the lost in this world deal with every single day. Going through this world without Romans 8:28, or Jeremiah 29:11 or Psalm 139. It was heartbreaking and lonely and dark. The first glimmer of hope on the darkest of horizons. I knew that there was only a small chance that I would actually get pregnant after one ovulation… yet there was hope. Splashing water on my face, in the bathroom of a nursing home that is no longer even there, I looked in the mirror and realized… it’s Mother’s Day. Could this be the most incredible mother’s day gift ever? Could I dare to hope that big?? I returned to my client, an older, out-spoken woman, who declared with no question in her mind “girl, you are pregnant”. Five pregnancy tests later I finally believed her. I had the most amazing pregnancy with this little one. In fact, that Mother’s Day was the only time I was even sick. I knew even at that time that getting sick that morning was a special gift from God. It was a gift I didn’t deserve. To find out I was going to be a Mother, on Mother’s Day. Isn’t He beautiful? And while that was a gift, I could not in my wildest imaginings know what a precious gift this child would be to my life. This little one that I dreamed would be a little girl, with lots of hair and dark eyes like her daddy. And on January 17, 2001 that dream came true. We named her Tali Susanne. Talley was my maiden name, and it was an honor to pay homage to my own daddy, Joe Talley. But more than that, the baby name books revealed that Tali is a derivative of Talia, which is a Hebrew name that means "Dew from Heaven". It seemed appropriate, this child who felt like a miracle after a year and a half of the infertility roller coaster... but little could I know how prophetic her name would be. As I sit here looking to my wall of pictures, the memories come flooding back. 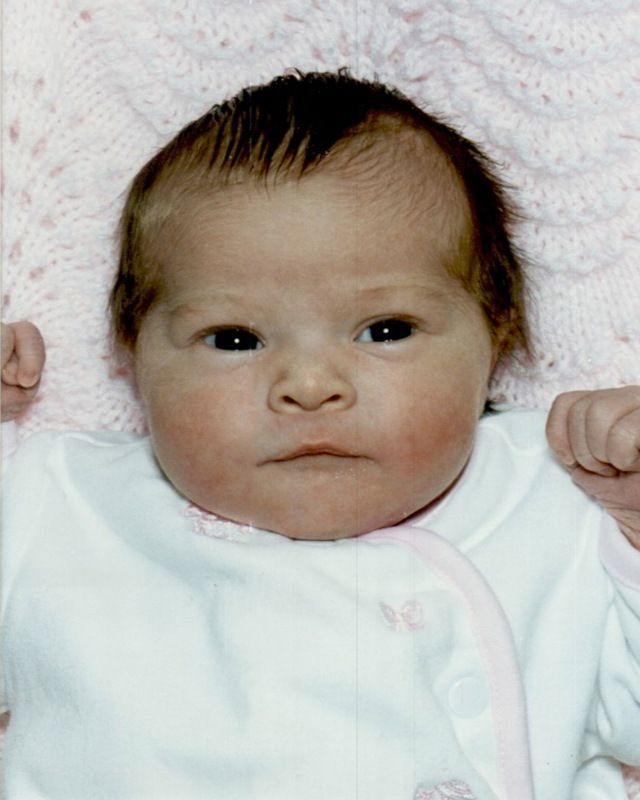 Her bright-eyed newborn picture. A child with an “old soul”, many of my friends would say. Always aware, always watching… absorbing her world. The toddler who would ask Mamaw how her hip was feeling. So tender, so empathetic. The 2.5 year old so excited to take her first dance class… watching her through the glass as she bent down and forced her feet into first position with her hands. The big sister holding her prize and joy in the form of a squirmy, red newborn brother. The little girl who led me back to Jesus. You know how babies are, you want to show them off. So a week after she was born, I dolled her up and headed to church. Now I had been attending church on and off for a while, but it was nothing serious… it just seemed to be the right thing to do. Sitting in that pew that Sunday, I knew that she should be raised in a church, just as I had been. And so those intermittent trips to FBC Bicknell became regular. And God began speaking to me. Calling to me. He wanted more than an hour of my time. He wanted me. My daughter, however, was falling in love with Jesus. She would dance in worship, while I worried what everyone would think of me if I raised my hands. And this kid talked about God all of the time. Everything she learned in children’s church became discussion later that day. She reminded me of the love I once had for Him. It’s not that I didn’t want Jesus. It’s that I did want the world. And I wouldn’t sacrifice the latter to have the former. I was comfortable in my sin, and I wanted to stay there. Couldn’t I just have them both? 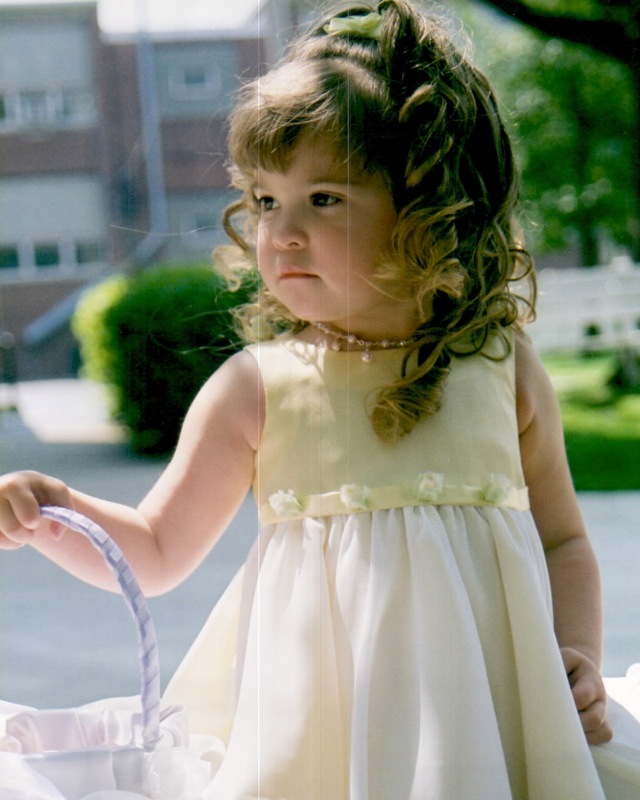 And then, when Tali was 3 years old… we skipped church to go to the campground and visit with Mamaw and Papaw. Tali was walking their puppy on a leash, she was watching the dog… she didn’t see where she was going… but her daddy did. He yelled out “Tali! Tali! Tali!” and began to run her direction. I turned just in time to see my precious little miracle falling backward into the campfire ring. Everyone else ran to her- Jim was almost to her already. My brother was right behind. But I couldn’t go. I couldn’t face what I might see. I turned my face to the sky and covering my eyes with my hands I cried out… Oh Jesus, please protect her. Please protect her. Please protect her. Shouts interrupted my prayers- “Water! Water!” I turned to see a cooler sitting nearby. Throwing the last few items left from a long weekend camping out on the ground, Jim plunged her into the icy water. My mind reminded me that ice isn’t good for burns, but we had no other options and so we had to make do. I remember looking at her little face… the sheer terror in her eyes. She wasn’t even crying- just looking back up at us in fear. We didn’t bother to check her over- we just got immediately in the car and went to the hospital. It was there, with her on my lap in the front seat, wrapped in a wet towel, that I looked at her little hand, now twice its size. I remember thinking that it looked like a lion's paw. Yellowish with blisters that covered the entire underside of her fingers and palm. Surely her back was just as bad. She was laying on a bed of hot coals, her legs dangling over the edge of a steel fire ring. Surely we were on our way to Wishard, a hospital with a burn unit a couple of hours away. I prayed in her ear for her to have the strength to show her hand to the doctors and nurses. To be courageous as they treated her wounds. For God to protect her body from shock. And you know, although my heart had resisted His call time and time and time again… He heeded every one of those prayers. Because He knows the end from the beginning. He knew just what I needed. Jesus indeed protected her as she lay in that fire ring. Unexplainably, her hand was the only significant injury. Her back had one minor burn, and although her legs were dirty from the fire ring- the ring that sizzled and crackled when my family poured water on the remainder of the coals- they were not hurt. Her left hand had a few small burns. But her right hand. It was bad. Tali, the day before her accident. Pulling up to the hospital every morning, she would say “do I have to go in, Mommy?” and when I told her we had to, to make her hand better… she would get out of the car, take my hand, and walk in bravely. I never had to carry this three year old child, kicking and screaming into the place that would cause her such pain. She walked in of her own accord. What courage! When debridement was over, and I can’t even describe to you what that time in that little room was like, she would go to her therapist… and give them a hug. As if to comfort them. What grace! And when debridement got particularly bad, and I was questioning why He would allow this to happen to my little girl, why not me… her comment to the song on the radio broke in to my thoughts… “Hey mommy! This song is about my best friend, God!” Less than fifteen minutes after enduring the pain of scalpels and scissors, she reminded me that God was still her best friend. What faith! 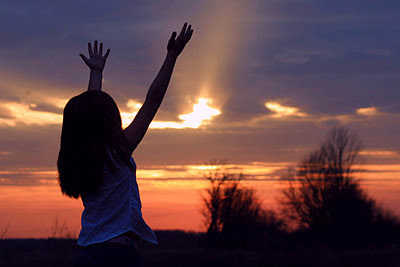 When I felt that things were looking hopeless, and the PT on a Sunday morning warned that she was seeing little improvement, Tali went to church and raised her hand in worship… and what were the words being sung?? “I never said you woudn’t have to walk through the fire…” What love! Do not fear, for I am with you. Do not be dismayed for I am your God. I will strengthen you and help you; I will strengthen you with my righteous right hand. She recited this verse during this time. And I learned that it was true. It was then, that God began to wreck my heart. He showed me His son, through my daughter. Through her courage, her grace, her faith, and her love… I met Jesus in an entirely different way. It set me on the path to real relationship... a relationship that is everything to me now. And then, just to put the icing on the cake (after all, He is a lavish Father), He began to heal her hand that day… so that no grafts or surgeries or even physical therapy was required. Tali’s love for Jesus has only grown over the last eight years. And that courage, grace, faith, and love that were first evidenced in a three year old have carried her far with the Lord. She has a zeal for Him. Jesus is her first love, and she always keeps that in perspective. Recently given a chance to take an additional dance class a week (which she wants to do so badly), she told me she just couldn’t, because Monday is Bible Study night and her week “just isn’t right without Bible Study”. When she heard about kids enslaved in Africa, she didn’t just feel sorry for them, she did something, joining with a friend and launching Kids 4 Freedom. When her teacher gave her the chance to teach a Bible Study during recess one day a week, she didn’t question the call and said yes. When I look back over the last eleven years… I can’t imagine my life without Tali. To say that she changed my life is an understatement… she has changed my eternity. She is not perfect (for more on that you can read this post), but she is in love with Jesus, and He is working her toward perfection, just as He is all of us! And I am so thankful that, in the book of my life, He wrote in this beautiful child to be a part of that process. Not just for me, but for her daddy as well. He truly knew, just what we needed when he knit her together. He knew that our hearts were far from Him. He also know that a little child shall lead them. He sent us a precious gift in Tali Sue. Our “Dew from Heaven”. Certainly, that is exactly what this child is… precious dew from His hand, sent to quench this dry and weary land. She started with the arid desert of my heart, and then turned her gentle gift of grace on her daddy, leading him to church when my invitations sounded like nagging. She now prays for others in our family to know the relationship she knows. She shares her love for her Savior with her friends at school in her Bible Study. And my heart is preparing itself for the continued plans the Lord has for her… to quench the desert places of the world with His grace and love. He isn't done with her yet. Birthdays are meant for celebrating, and so today I celebrate my beautiful daughter. The one who knew I was worried about the storm this morning, and so texted me "Love You" just before entering school and turning her phone off. The child whom I am given the responsibility of teaching, guiding, encouraging… This child who has done all of those things for me. This is so sweet....YOu have a sweet little girl.. This might be my favorite yet. Beautiful! I am going to stop crying now and go eat dinner.